It's not just iridescent. 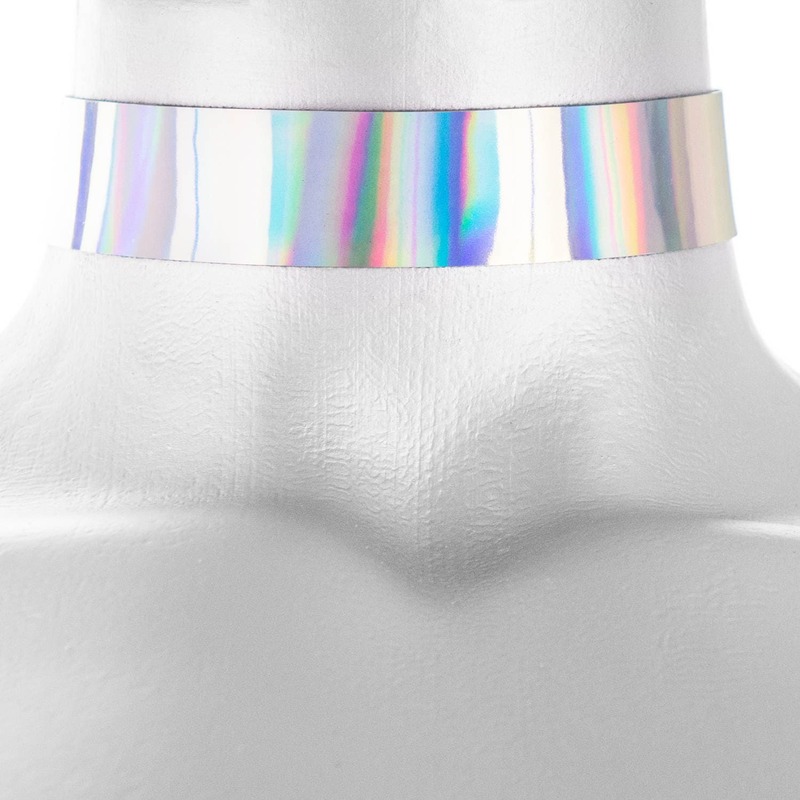 There's a depth to the shimmering colors in this silvery, shiny rainbow holographic choker. 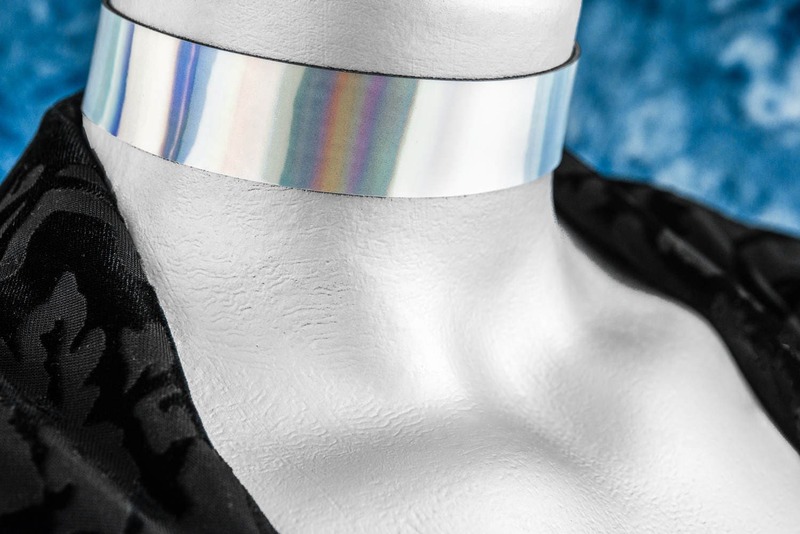 I made it from very flexible polyurethane material and it has a soft, brushed fabric backing making it comfortable to wear while reflecting every color of the rainbow with a chrome-like shine as it bends around your neck. I get complements from strangers every time I wear mine, and I'd like to share that joy for when you wear yours. It is adjustable by 3" (80mm) and you choose the finish on the closure. All findings are lead and nickel free. The closure finish in the photo is Platinum Silver. Your choice of size, the most common for women is Large, XXL for men. 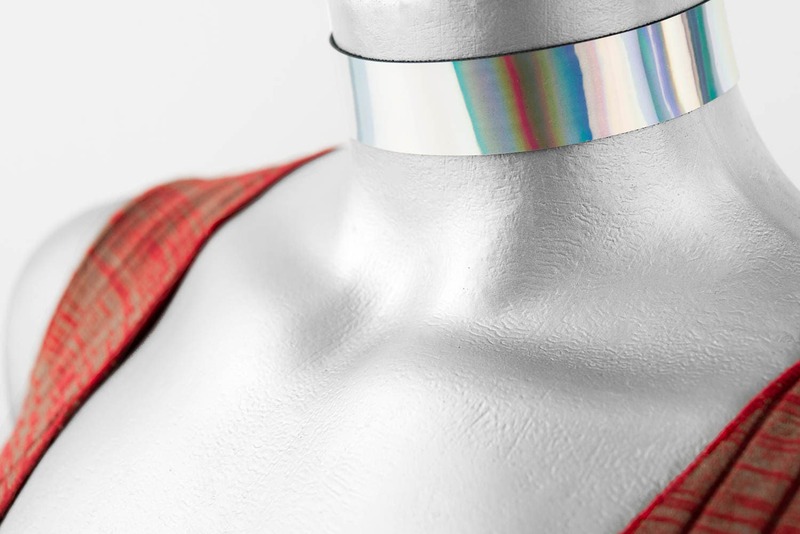 Measuring your neck where you want the choker to sit is the best for determining which size to get. From there, if you're not sure what size to get, just guess. 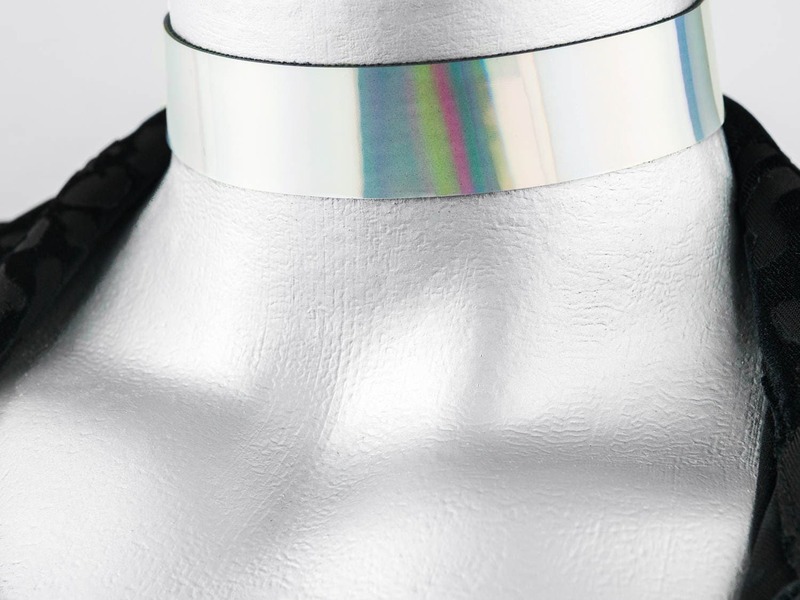 Small is usually for the younger crowd or those of us who get frustrated that we can never find a choker small enough to fit us without wrinkling at the base of our neck. 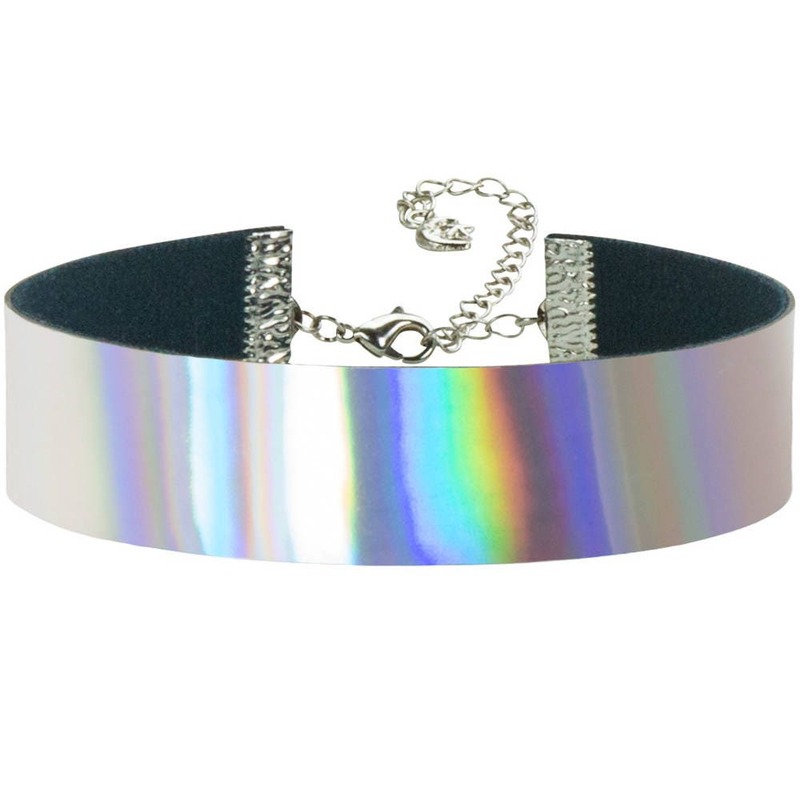 Medium is similar, but most chokers at their tightest are only barely too big. Large usually fits just about everyone high or low on their neck. XLarge is when you wish most chokers were just a little bit bigger. And XXLarge is for when it just seems like no one makes a choker big enough to fit you without literally choking you. I can make them any size, just let me know if you need an option that isn't listed or need tips for measuring your neck. (I use a shoelace, string or even a thin belt. Wrap it around my neck, put my finger where the end meets itself, then lay it down on a ruler to see how long it is from that end of the shoelace, string or belt to my finger. Or, special bonus points for having a fabric measuring tape available because that's really the easiest for determining your neck size.) 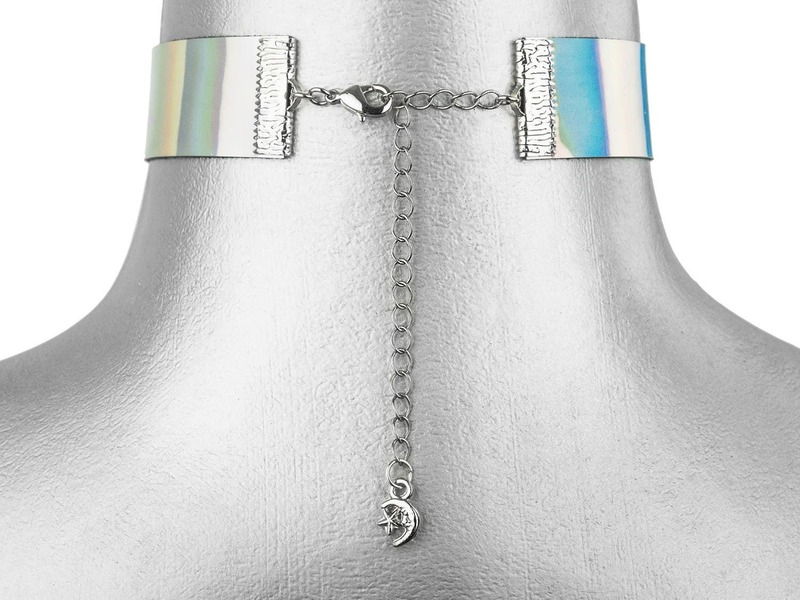 It's usually best that your number falls in the middle of the range listed per choker size, but some people like more or less chain or want to wear their choker high or low, like if you're stacking more than one together.